A bipartisan group of former US attorneys are calling for Attorney General Jeff Sessions to end the Trump administration’s policy of detaining immigrant children at the US-Mexico border. The letter says the attorneys were “horrified” by the policy’s “tragic and unsustainable” consequences. The policy has drawn growing backlash as President Donald Trump and his officials have repeated false claims about the policy’s origins. 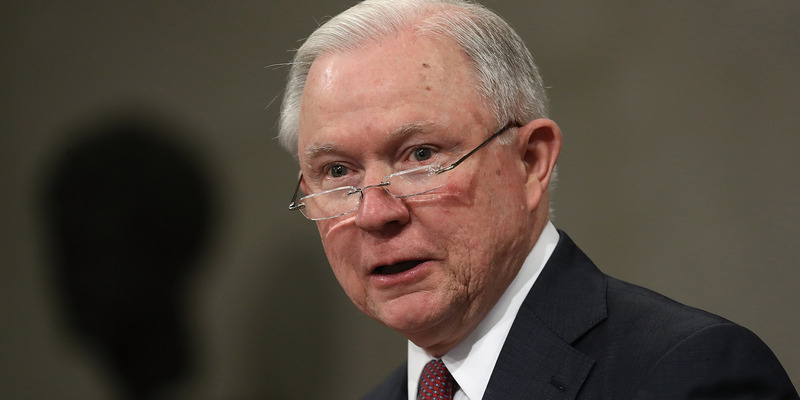 A bipartisan group of former US attorneys have released a letter that calls for Attorney General Jeff Sessions to end his department’s “zero tolerance” immigration policy. A president appoints US attorneys to four-year terms, the Senate confirms them, and they serve in the US Department of Justice under the direction of the attorney general. The policy contributed to a spike in the number of migrant children in US custody from March to April, when over 10,000 were in detention centres. Overall, at least 2,700 families have reportedly been separated at the border since October 2017. President Donald Trump has repeated a false claim the policy is a result of standing immigration law, an excuse the letter sharply rejects and urges Trump to fix. Previous reports confirm there is no part of US immigration law specifically orders that families must be split up at the border. One of the attorneys who signed the letter is Preet Bharara,who was fired last year after he refused to follow Sessions’ orders for all 46 remaining judges from former President Barack Obama’s administration to resign. Department of Homeland Security Secretary Kirstjen Nielsen said in Monday’s White House press briefing, despite publicly available pictures and videos, reports of detained children in distress were false. “Claiming these children and families are treated inhumanely is not true and completely disrespects the hardworking men and women at the Office of Refugee Resettlement,” Nielsen said. The attorneys’ statement joins calls from celebrities, first ladies, and Republican officials to end the policy.